Share the post "Get to Know Rutgers NJAES: Spotlight on the EcoComplex"
Rutgers New Jersey Agricultural Experiment Station (NJAES) off-campus research centers are sometimes located in remote parts of the state, providing limited opportunity for others to know the scope of their work. In the Get to Know Rutgers NJAES Series, we’ll take a look at these centers and find out just what they do. Serpil Guran, director of the Rutgers EcoComplex, provides us with an up-close look at what goes on at the EcoComplex Alternative Energy Innovation Center in Bordentown, NJ. Q. What types of research are conducted at your facility? Initially, the Ecocomplex was established to perform applied research and demonstration on technologies and practices in the fields of solid waste management, environmental and controlled environment agriculture. In addition to these activities, the EcoComplex also serves as an “Alternative Energy Innovation Center” to promote clean, low carbon alternative fuels, clean power and energy efficiency. The EcoComplex also provides testing and verification of these emerging alternative energy and energy efficiency technologies. Q. Who are the support faculty and staff that participate in research projects at the EcoComplex? The EcoComplex support staff members are Serpil Guran, director; Kevin Lyons, associate director; Dave Specca, assistant director; Pat Evans, program support; Laurie Magee-Raider, program coordinator; Russ Wright, greenhouse manager; and Jon Lee, facilities maintenance. Associate VP for Economic Development Margaret Brennan-Tonetta provides administrative oversight of the EcoComplex and participates in research collaborations. Faculty members that we collaborate with include Mark Robson, Kevin Lyons, Gal Hochman, Paul Gottlieb, Zane Helsel, Monica Mazurek, Dunbar Birnie, Mike Muller, Paul Falkowski, Debashish Bhattacharya, Eric Lam, Chris Obropta, A.J. Both, Donna Fennell, Uta Krogmann, Pete Strom, Rob Miskewitz, John Reinfelder, and staff members Val Krumins, Suleyman Kemal Betin and Tom Manning. 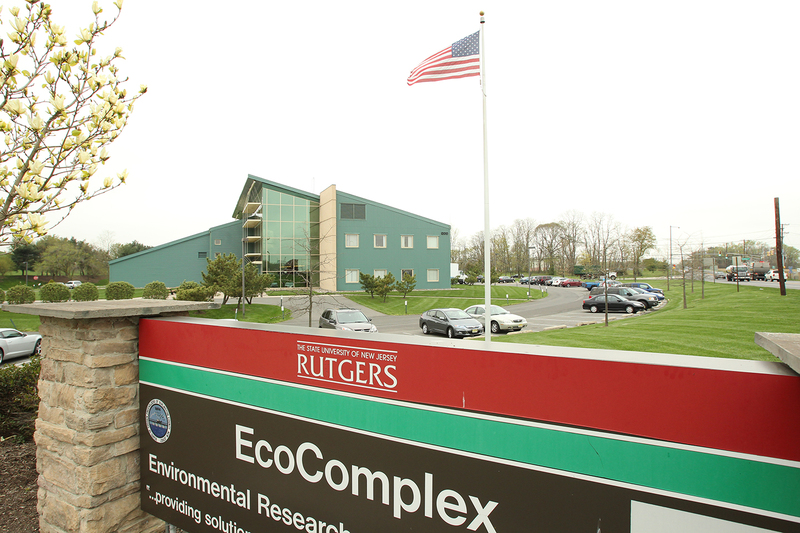 Rutgers EcoComplex: Alternative Energy Innovation Center. 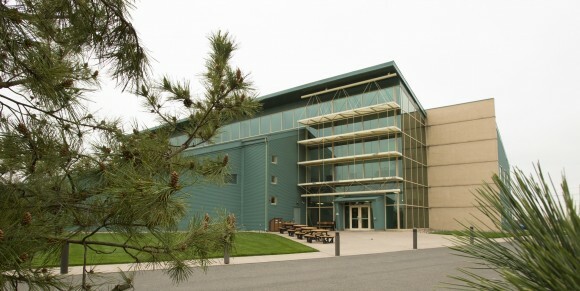 Pictured here is the 30,000 square foot office, lab and conference facility which opened in 2001. It is located adjacent to the Burlington County Landfill in Columbus, NJ. Q. In addition to research, what other activities are conducted at the facility? The EcoComplex also serves as an education and outreach center. We offer numerous workshops, tours, classes and internships, and support business development through our business incubator facility. The EcoComplex also houses the New Jersey Clean Energy Innovation Council, which has members from other higher education institutions, government agencies and non-profit entities to promote alternative/clean energy development in New Jersey. Q. What are the highlights of some of the most meaningful or interesting research that has been conducted in the history of this facility? The EcoComplex generates renewable heat and power from landfill gas for its greenhouse and the main building. Currently, we are working on a project to improve the existing landfill gas clean-up unit of the microturbine to make power generation cleaner and cheaper. Rutgers-based research projects have been demonstrated at the EcoComplex including year-round tomato production, aquaponics, and anaerobic digestion. Working with companies incubated at our facility, we have assisted with developing technologies to convert landfill gas to transportation fuel and coal to liquid fuel, biodiesel technologies, vermicomposting, hydroponic herb production, in situ-soil remediation, and arsenic removal from drinking water, as examples. The EcoComplex has been able to obtain ARRA (American Reinvestment and Recovery Act) funds to purchase two electric vehicles (EV) and EV chargers. Q. What is unique about this research station compared to other experiment station research facilities? The EcoComplex’s emphasis on research and demonstration of alternative energy and environmental technologies makes it unique. Environmental sustainability and economic feasibility are core factors that we incorporate into all our projects. Another unique thing about the EcoComplex is that the center’s operations do not depend on funding from the experiment station. The sources of funding include conference facility revenue, incubator rentals, and grant funding. Q. How does the research here benefit the people of New Jersey? The environment in New Jersey is stressed because of high population density, past industrial pollution, aging infrastructure and a warming planet. In addition, the state needs clean/alternative energy options to support growth in its economy and create jobs. The EcoComplex is working on ways to reduce the stresses on the state’s environment as well as working on the development of alternative energy technologies that utilize waste as a resource to create economic growth, create new jobs and make the state more resilient. Q. What is the greatest accomplishment that has come from the station? The EcoComplex has achieved the vision of its creators by becoming a regional hub for environmental and alternative energy activity that pools together academia, government and the private industry, all working towards a common goal of promoting and supporting technology led economic development.